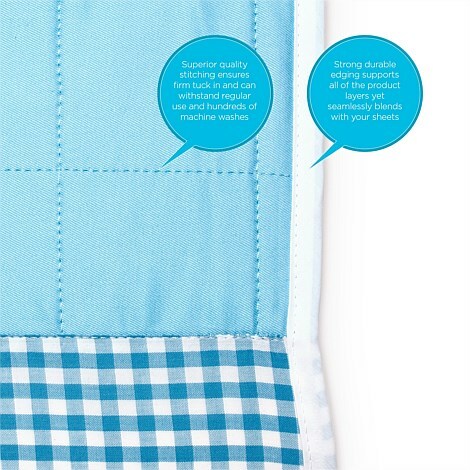 Brolly Sheets are the perfect solution for all your bed wetting needs! No more stripping beds, get back to sleep quickly! 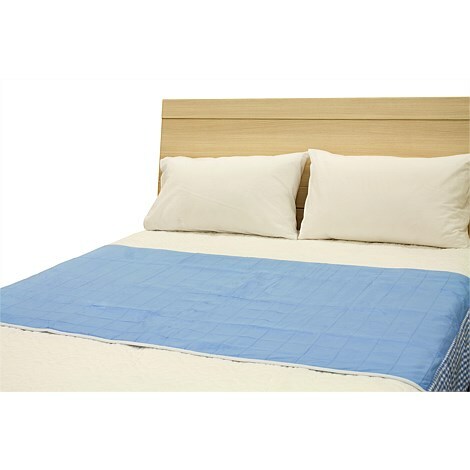 Our Brolly Sheet Bed Pads are the ultimate in comfort made with a 100% soft cotton top. 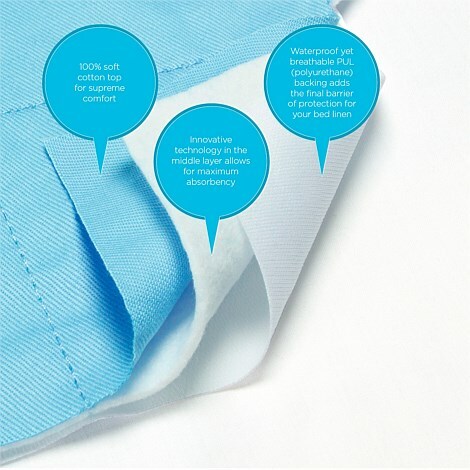 Our innovative technology for the middle layer is both quiet and breathable, while still maintaining its super absorbent qualities holding up to 2 litres! They are simply fabulous, saving you time, money, loads of laundry and above all your sanity! Brolly Sheets come in all sizes, wings & no wings, and all in a range of fabulous colours! 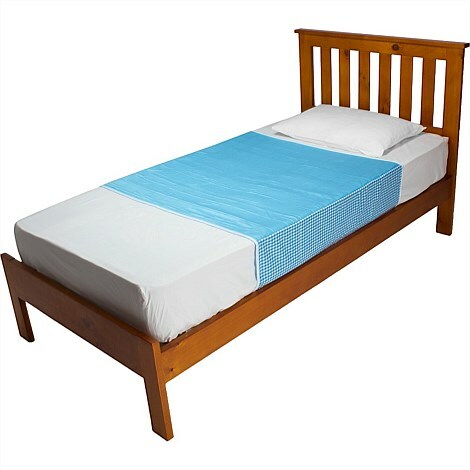 Brolly sheets are available in a range of sizes – single, king single, double and queen. Just place your Brolly Sheet on top of the fitted sheet and tuck the wings in under the mattress. This provides an excellent layer of protection to keep the bottom sheet, mattress pad & mattress dry. Please wash prior to use as this will soften the fabric and increase the absorbency! PERFECT FOR ANY KIND OF ‘DOWNPOUR’. Our Bed Pads with Wings are also handy for your baby’s ‘nappy-free time’ (to protect rugs or carpet), for breast-feeding in bed (you’d be surprised how messy that can get) or for expectant Mums in case your waters break in bed (yes, it happens a lot!). Super absorbent, each pad can hold up to two litres of liquid over eight hours. Which means it’s not just an extra layer, its extra peace of mind too. Best of all, you can breath easy that Brolly Sheets are kind on the environment. The backing is made from polyester-backed polyurethane rather than PVC or vinyl, which can omit harmful toxins.